Dr. Steven Chang began studying the violin at the age of 5 in Seattle, Washington, and continued intensive study throughout his youth. He played in numerous youth orchestras, including the Northern Virginia Youth Symphony and the Orange County Youth Symphony Orchestra, and entered and won many competitions before beginning college. He was offered a scholarship to continue his violin training at the prestigious Thornton School of Music at USC, but declined it to pursue a career in medicine. At UCLA, where he completed his pre-med studies, he served as assistant concertmaster of the UCLA Symphony, and studied privately with Alexander Treger of the LA Philharmonic. Continuing to play through medical school and post-doctoral training, he served as concertmaster of a chamber orchestra in Richmond, Virginia. After completing his medical training, he took a 15-year break from the violin as he engaged in building a busy ophthalmology practice in Ventura. Returning to actively playing again in 2010, he determined to never stop again. 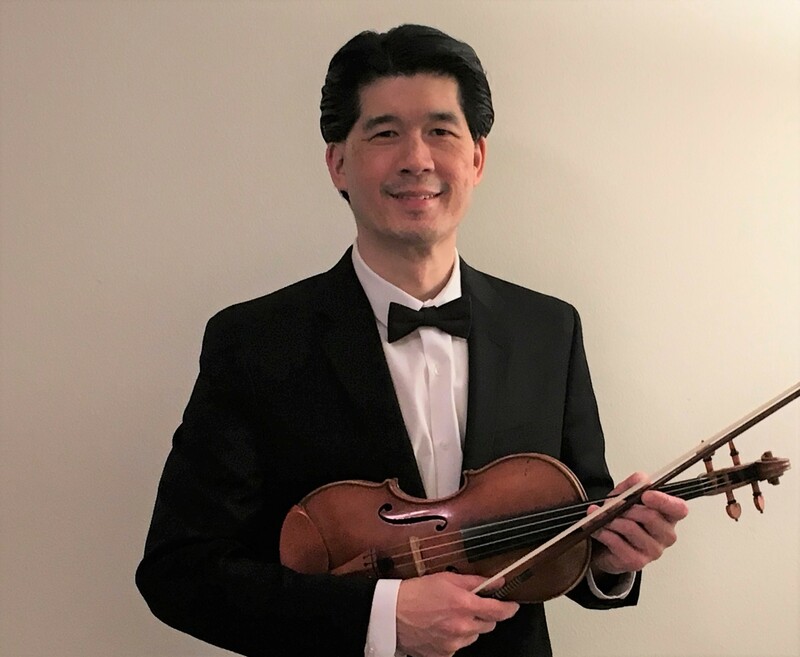 Dr. Chang currently serves as co-concertmaster of the Channel Islands Chamber Orchestra (CHICO), and plays in various chamber ensembles, including weekly string quartet meetings comprised of past and present members of CHICO. And whenever possible, he plays chamber music with his 3 sisters and parents, who are all accomplished musicians. Dr. Chang plays on fine violins by Vincenzo Panormo (1810), Jean Baptiste Vuillaume (1864 and 1870), and Gregg Alf (2010). He maintains a busy ophthalmology practice and is privileged to provide medical and surgical eye care to the Ventura community. He is married to his lovely wife Sylvia, who, although paralyzed from a spinal injury, is still more capable than her husband at everything important in life. If all would play first violin, we could not obtain an orchestra. Therefore esteem every musician in his place. Every symphony, for example, is a sonata for orchestra; every string quartet is a sonata for four strings; every concerto a sonata for a solo instrument and orchestra. I think that if a real princess was lost in this modern world and she could be whatever she wanted, she would be a “musician,” Blanche said slowly. “A violinist, or a harpist.” That would be the only place where she could find solace for her lost kingdom.